Clear some space on ya summer playlist because The Wanted’s, Max George is back and he’s bringing with him THE summer banger; Barcelona. 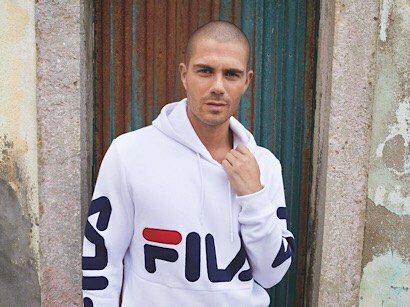 After a loooong wait for fans, Max unveiled the debut solo single just this morning. Guaranteed to be the Summer anthem of 2018, Barcelona is straight fire. And with a hot music video to go with, he’s ticking all the boxes for a massive hit. After splitting from The Wanted in 2014, Max starred in the Hit US Show ‘Glee’ and then stepped out of the limelight and got grafting hard on his new music. This means there’s loads of top hits to come… Yussss! Following the silence, he posted three teasers of his new music vid, and a final post captioned simply ‘#Barcelona 03.07.18’. Luckily, you didn’t have to wait long! Here at JD, we were lucky enough to go behind the scenes at the filming of Max’s music vid – think sea, sand and surfing (as well as lots of Max). Getting the low down on his new stuff, Max revealed he’d actually written the song 3 years ago and had been sitting on the banger ever since.